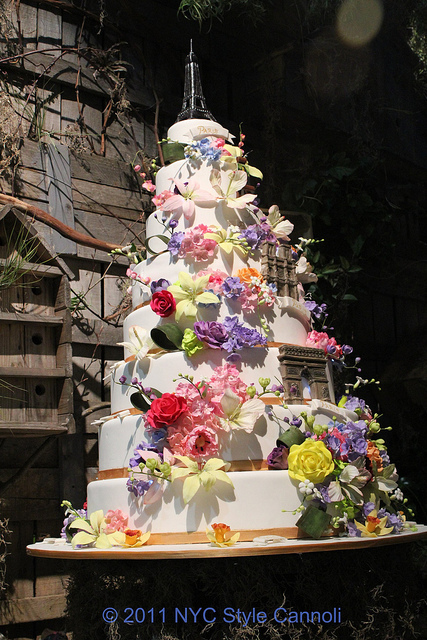 2011 Philadelphia Flower Show Cake by The Cake Boss !! 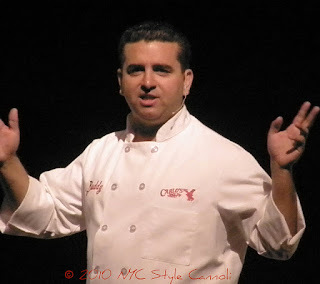 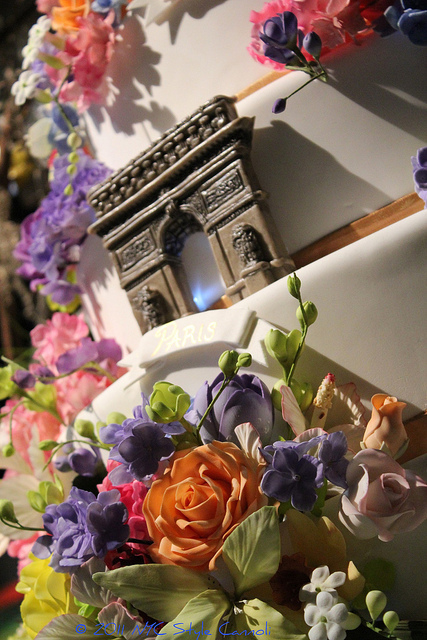 Guests of the PNC Flower Show Dinner on last Sunday night were delightfully surprised by the arrival of a towering cake delivered by “Cake Boss,” the TLC reality show that follows the adventures of a Hoboken bakery. 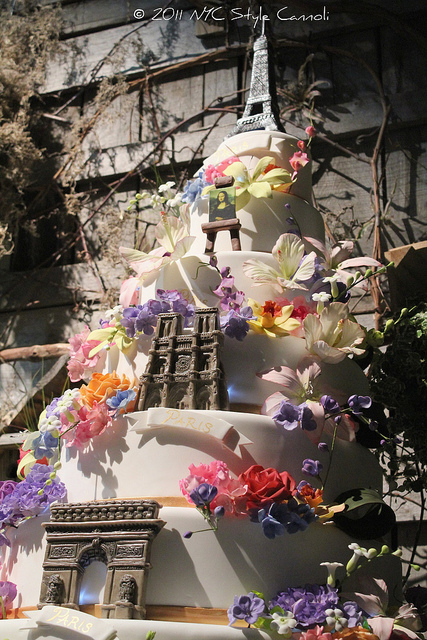 Created by head baker Buddy Valstro, the cake was presented to Bill Mills, regional president of PNC for Philadelphia and South Jersey, and PHS president Drew Becher. 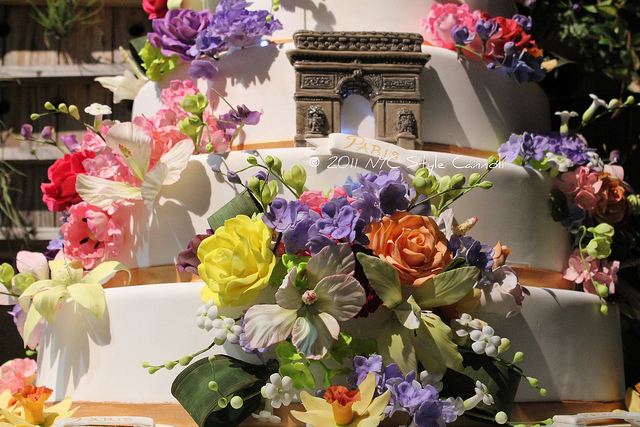 The cake was ordered by PNC to celebrate its 20th year as Presenting Sponsor of the Flower Show. 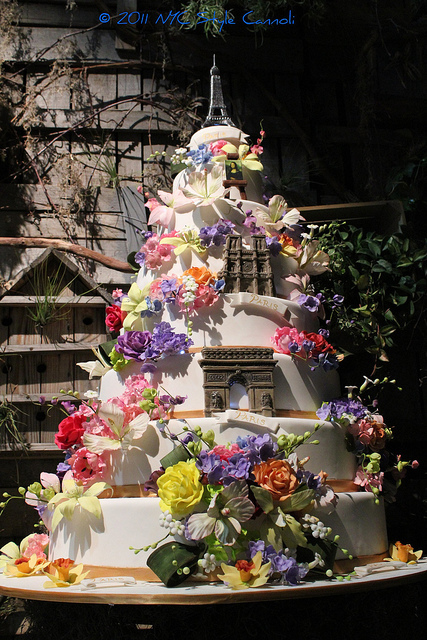 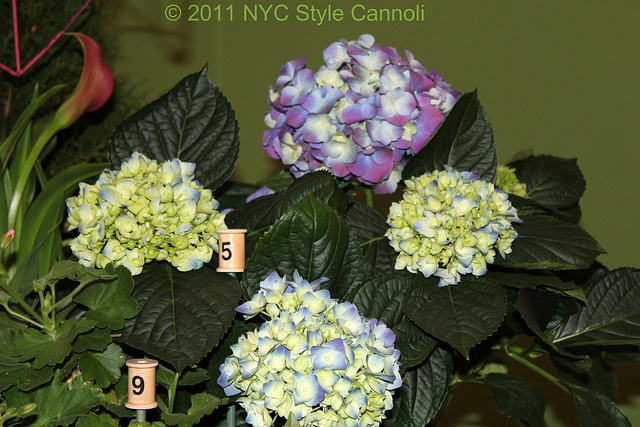 The top eight non-edible layers of the Cake Boss cake are on view at the PNC Exhibit through the end of the Flower Show on March 13.
these flowers looked just like the displays in the flower show!! 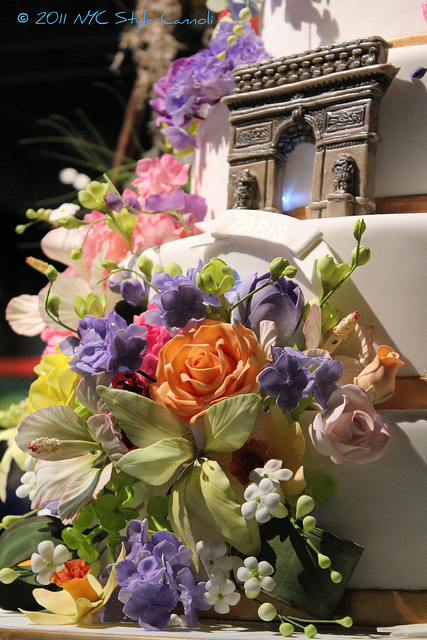 one of my favorite flowers...so pretty they are....Buddy's cake is on display until today so if you are planning a trip to the flower show, be sure to look for it!! 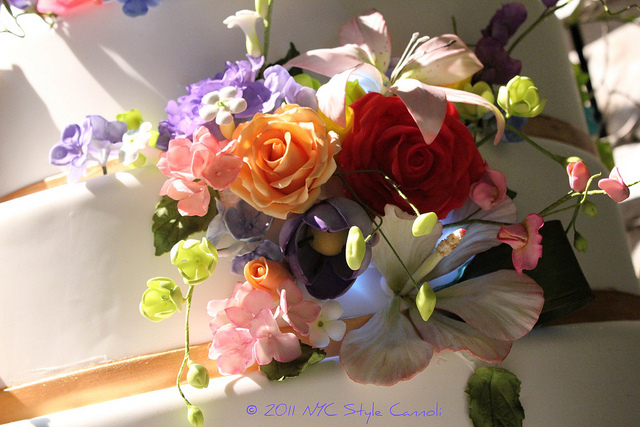 What a great job with the flowers.